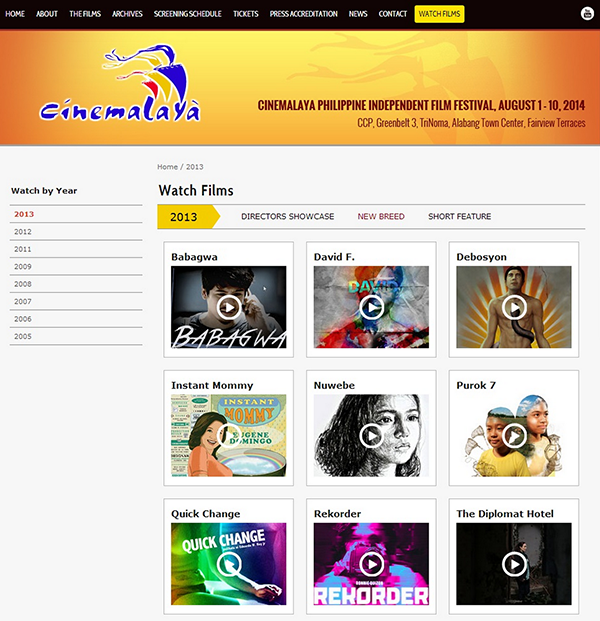 Last night, Cinemalaya Films from previous years, that are mostly impossible to find in physical or online stores, were posted on the Cinemalaya website. These were hosted by the personal YouTube channel of one Janssen Agbada. 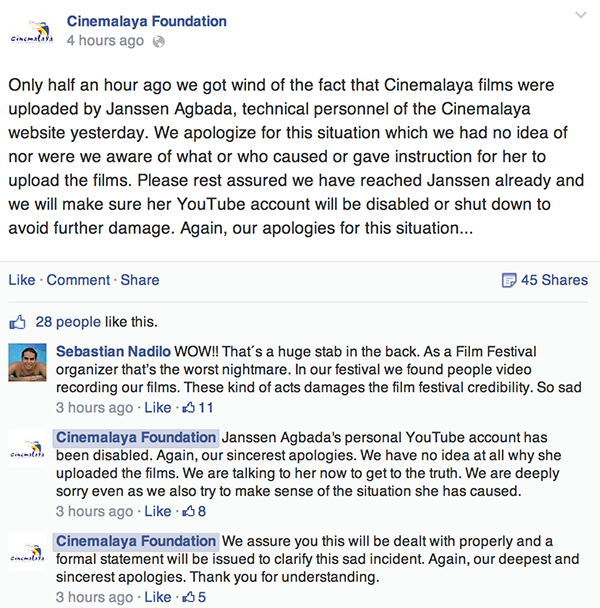 These were taken down a few hours later, with the Cinemalaya claiming that Agbada - the website's technical personnel, acted on her own. This sounds plausible enough seeing that the Cinemalaya website does not have ads that would benefit from the traffic and the one that could possibly generate some income off it is the owner of the YouTube channel if her ads were activated on the videos. But online forums reveal that a letter was sent by the Foundation to filmmakers telling them that a copy of their movies would be distributed online. This is supposed to be in accordance with a contract that they signed which allows the Foundation to distribute their submitted work after six months in which case, I wonder why everyone is surprised and livid when the movies showed up in the website. No official statement is issued at this time but I think everyone can anticipate an exciting closing ceremony this Sunday, August 10th.